What Women Bring To Coaching: Preparation, practice makes perfect, learning from mistakes, form over stats, sportsmanship, having fun and horsing around. Women’s sport is often overshadowed by men in the same field, however in recent years, women have been putting their own stamp and twist on things. None more so than in individual sports such as tennis, track & field, golf etc. It is not uncommon for a woven garment to catch on a sharp object, causing an unsightly snag in the material. A snag characteristically has a single, long loop of thread dangling loose with the fabric slightly gathered or puckered on each side of the long thread. The pulled thread causes the distortion in the weave of the fabric. Fortunately, you can fix the snag so that it is no longer visible, and continue to enjoy the garment. But what is even more fortunate about this particular polo is that it is snag-proof so you will never have to worry about unappealing lose threads in the garment. 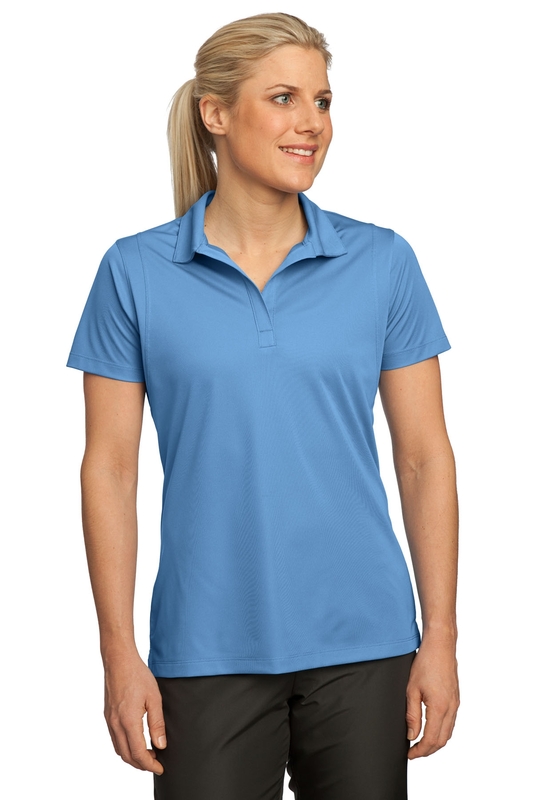 The colors of this polo come in a wide variety, including: Black, Blue Lake, Deep Orange, Forest Green, Gold, Iron Grey, Kelly Green, Light Pink, Maroon, Pink Raspberry, Purple, Tropic Blue, True Navy, True Red, True Royal and White. It weighs 3.8 ounces and is made from 100% polyester tricot. It’s snag resistant will allow you to enjoy and compete in the sport you play at a maximum level to your ability, as this polo wicks off moisture so athletes can perform at their highest level without any interruptions. It features double-needle stitching throughout, which gives a thick feel to the polo, whereby the material will stand tough against any influences it comes across that attempt to disrupt the stylish look and texture of the polo. Ladies sizes come in a wide variety, from XS-4XL. Its tag-free label ensures that issues such as an itch during competition times won’t be a worry to the player, coach or management. A flat knit collar brings back a traditional style, while also keeping the polo looking neat and tidy on the outside, as it tucks in nicely to the rest of its design. Other features include an open placket and curved back waist seam for a flattering fit. This gives the polo a distinct feminine touch, while it also stays portrayed as classy and professional.